To sign up to receive emails from Official London Theatre, simply click Request Newsletter button below and you will get the latest theatre news & offers, be the first to hear about the New Year Sale, Olivier Awards, West End LIVE, Priceless events and ways to make the most of your theatre trip. 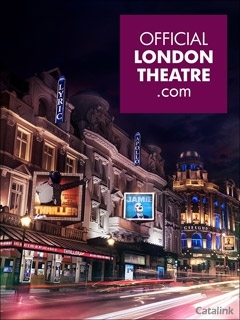 Official London Theatre is the capital's leading theatre website taking you backstage and putting you in the spotlight of the exhilarating world of the West End. Sign up to their emails today to get the best updates and deals direct to your inbox! They bring you the best information, the hottest news, fantastic features and a safe, trustworthy place to buy your London theatre tickets with a range of offers to suit all budgets. Check out the annual New Year Sale for tickets to must-see shows for just £10, £20, £30 or £40 for performances from 1 January - 15 February 2019. Theatre fans will also want to get all the Olivier Awards news and be the first to know the dates for West End LIVE, the free two-day musical festival in Trafalgar Square. If you have kids head over to the website and sign-up to the Family Bulletin to be the first to know about free theatre tickets for kids in August with Kids Week. Whether you're looking for a great girls trip or wanting to treat the kids to something extra magical, Official London Theatre has exactly what you're looking for! Sign up to Official London Theatre emails today! Official London Theatre Emails Newsletter Irene R. said: Going to London nearer to Christmas, so this will come in handy! Official London Theatre Emails Newsletter Jane B. said: Something myself and my parents & inlaws will use lots. Official London Theatre Emails Newsletter Fay G. said: Visit London regularly so would enjoy any info on the city,includingg mini breaks! By Pressing the Request Newsletter button you give Official London Theatre Emails (and their Data Processors for the specific purpose of delivering your emails) consent to send you their newsletter via email until such time as you choose to unsubscribe.